Do you know which are the cosmopolitan most culturally and ethnically diverse countries in the world in 2017? When we talk about cosmopolitanism, we think of openness and sharing of the values, regardless of the territory or nationality, among every person on the planet Earth. Some say this is utopian perspective, while others argue that it is the only proper way to look at. In any case, one thing is for sure — there are many countries that are diverse in many senses, and in many cases, those diversities could cause great problems. However, in some countries, and mainly on the African continent, people are preserving their tradition of respecting the other cultures and treating them in a non-violent way. Still, with recent developments of the refugee crisis, we can see it is not the case in every country. 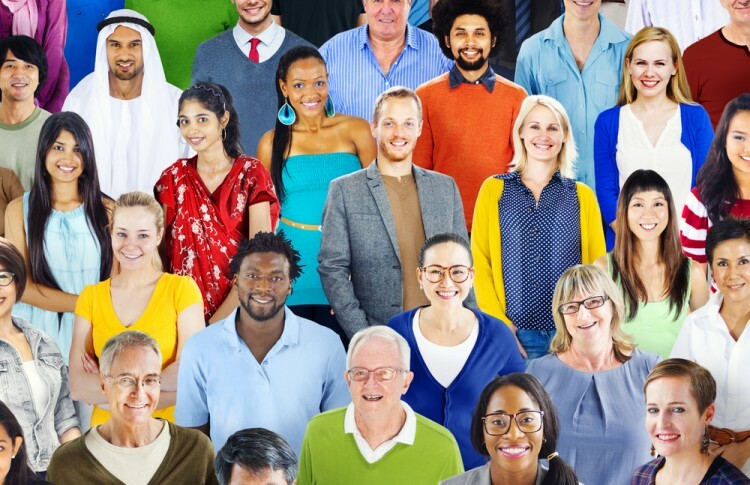 Diversity is often seen through ethnic lenses, and we wrote about it before in our article on most ethnically diverse countries in the world. However, this can be seen from another perspective as well, for example, cultural one. The most culturally diverse country in the world is considered to be, according to some resources, Cameroon. This country is on our list as well, and to see how it ranked, you will have to wait a little bit more. But, what exactly multiculturality is? It’s not just pure awareness of different cultures on one territory, but their collaboration as well, without having to give up on their own particular identities. It is the quality that most tolerant countries in the world probably share. Thus, Cameroon, as you will see in the following text, could be considered as one of the most multicultural countries in the world. In addition, if you want to find out a bit more on this topic, check out the 11 Most Multicultural Countries in The World. If we think about the most diverse city, some argue that it could be Dubai. However, according to Culture Trip, the number one when it comes to the most culturally diverse cities in the world is Toronto. Moreover, most cosmopolitan cities in the world besides Toronto and Dubai are Brussels, Auckland and San Francisco. As for the most cosmopolitan cities in the US, the answer is Los Angeles, San Jose and, of course, New York. If somebody asks me to name the most multicultural country in the world, I would definitely say Switzerland. However, I would be wrong! To see which are the both most ethnically and most culturally diverse countries, we did the following. In the search for credible sources, we found two studies. The first one is done by James D. Fearon in 2003 (updated in 2013), and it’s about ethnic and cultural diversity by country. The other study we used is done by Alberto Alesina, also in 2003 and it’s about ethnic, linguistic and religious fractionalization in 190 countries. For reference’s sake, from Alesina’s research, we just took data of ethnic fractionalization. By combining the two lists and comparing them, we got our results. Unfortunately, those were the latest data we could find. That’s why we used recently updated data from Nation Master and Ethnologue (after all, a language is the foundation of every culture) to provide you with information about each country (and you should know there are all African countries). Moreover, there shouldn’t be any major differences for the present year, since those parameters aren’t prone to quick change, so we took the results as valid for the year 2017 as well. And now, let’s check out our list of cosmopolitan most culturally and ethnically diverse countries in the world in 2017.